Sure, buying American is something to get behind—we're celebrating it all month long—but if for you buying local is about makers across town, not across state lines, then these designers may very well be up your alley. Burrow deeper into local design with our handy guide to the collectives and creators enlivening five American design scenes from Seattle to Cleveland to good old New York City. From May 21st to 27th SFMade hosted a series of events, tours, and open houses meant to promote the companies and objects making in San Francisco. Here's an image from the exhibit USE ME: Functional Designs for the New America that the American Design Club put on this spring in New York City. 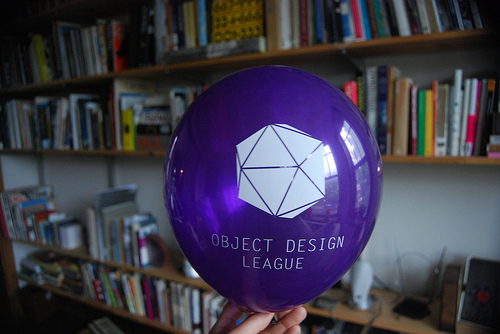 The Object Design League likes to have a good time. 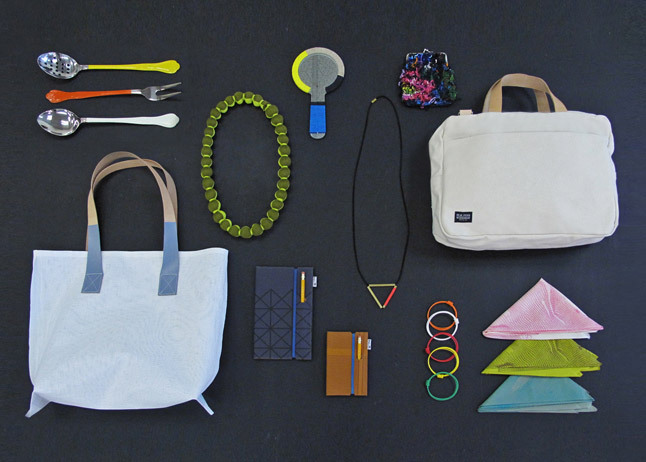 Join showed this assortment of Northwestern-made goods at the New York International Gift Fair in January. 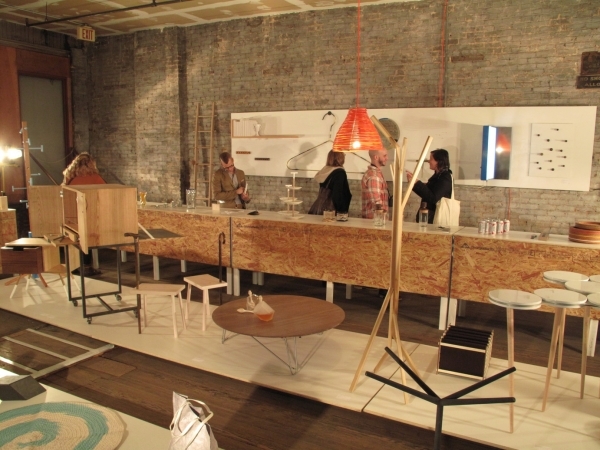 the collective's products on view included objects from BLK Pine, Grain, Iacoli & McAllister, Ladies & Gentlemen Studio, Meet Me Here, plainMADE, and R&L. The 216—as if you needed telling—is Cleveland, Ohio, and for the design-minded this is the design and shopping event of the year. Founded by local shop owner Danielle DeBoe, Made in the 216 offers housewares, fashion, art, stationery, and more made in Cleveland for Clevelanders. Still no word on whether Bernie Kosar will be back with those doilies. 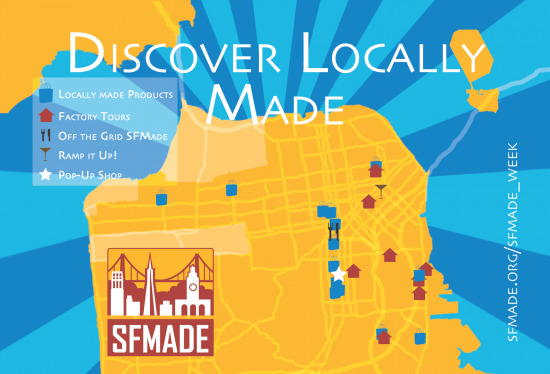 SFMade is a nonprofit organization that encourages and sustains the development and making of a whole host of goods in San Francisco. From messenger bags to laptop stands to lighting rigs for massive stage shows, this outfit is committed to keeping manufacturing within the city limits. Tourists may come to look at the sea lions at Pier 39 but savvy local shoppers keep an eye out for the SFMade seal. Based in New York City, the American Design Club is a loose collective of designers and makers that aims to unfurl Old Glory and gather up a raft of emerging designers under the Stars and Stripes. The club puts on exhibitions, curates shows, and combines resources to present their wares in New York. Members include Brooklyn-based jewelry designer Annie Lenon, designer Kiel Mead, and the furniture mavens at Rich Brilliant Willing, to name a few. Founded in 2009 by object designers and Art Institute of Chicago alums Caroline Linder and Lisa Smith—who work under the name Smith and Linder—the Object Design League serves the upstart design scene in Chicago. The downtown Chicago collective has hosted exhibitions, a booth at the New York International Gift Fair, at least one epic dance party, and opened an online store this summer. A collective of some ten different companies, Seattle-based Join serves as a solid directory to the indie design of the Pacific Northwest. The products on offer range from sleek modern credenzas to chic, slouchy T-shirts, and they come from the likes of Iacoli and McAllister, plainMade, Meet Me Here, Urbancase, and others. A nice, clean antidote to all the Etsying they do in that part of the world.